Today (June 20) is the Longest Day Of The Year and to make the most of it the MCN team is riding from dawn to dusk, soaking up as much of the 16 hours and 38 minutes of sunlight as possible. Along with regular updates on the site follow us throughout the day on Twitter, Facebook and Instagram. 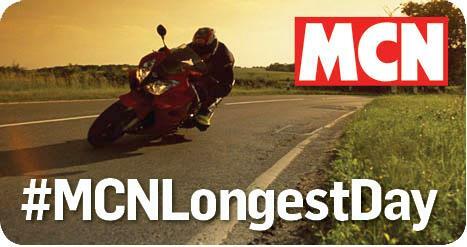 #MCNLongestDay and keep up to date with all our riders here. We're at Ness Point in Lowestoft, the most easterly place in the UK ready to greet the day as it pokes it's head over the horizon. As you'd expect at 4.00am, my journey here across the Lincolnshire Fens was a lonely one with only a handful of other vehicles on the road. By the time I get to work I’d have ridden more than 300 miles, all before most people had brewed their first cuppa. Bliss. Follow our journey as the MCN team chases the daylight across the UK and if you can, join us at one of the stops along the way.